In the style of chef Gordon Ramsay, I will now shake my hand in the air beside my head and exclaim that the solution for anyone’s languishing business or hobby is to stay fresh, local, and honest. Though chef Ramsay is usually talking about produce and grass-fed beef, I am talking about capturing scenes right in your own community. I might have mentioned in passing that my “day job” brought me to New London, Connecticut almost two years ago. New London is a rather scenic city positioned on the bank of the Thames river—very near to its mouth—which empties into the Long Island Sound. Although not without its social and economic problems, it is a historic city with a great deal of architectural and maritime attractions. I was absolutely floored to be reading The Online Photographer and to run across a stunning photograph taken literally five minutes up the opposite bank of my river (yes, I own the river) in Groton, Connecticut by Tom Kaszuba (check out the post in question his website, and his Flickr page). As one would expect, he’s received over 60 comments on that photo on Flickr, probably many thanks to Mike at TOP, and all of them are well-deserved. So anyway, here is the image. 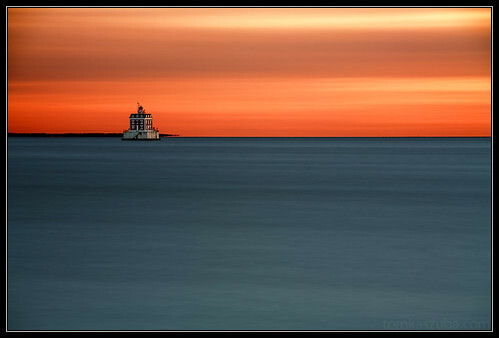 The Lighthouse Sanctuary, by Tom Kaszuba. New London, Connecticut. Taking a few minutes to look through Tom’s Flickr page invigorated me and inspired me to photograph the very river and scenery surrounding me here in New London. He has captured the coast of the Thames and the city of New London in a unique and flattering way. My hat is off to you, Tom; keep up the great work! Edit: One of my favorite blogs, Lifehacker, just posted a short article with a similar message, Take a Cheap Vacation in Your Own City Therein, they suggest grabbing a guidebook for your area (you can usually find them at visitor’s centers, on your city or town’s website, at the city or town hall, or in a local library) and doing some of the suggested activities or visiting the suggested locations. This could be another great way to revitalize your photography without spending a lot or going too far.